Anyone who has struggled to keep weight off (or on) or lacks the discipline to exercise on a regular basis can benefit from having a plan. It seems that once the diet is blown, there’s an “oh what’s the use” kind of attitude and there begins the vicious cycle of yo-yo dieting and excessive to no exercise. The results of an unhealthy diet and lack of exercise usually show on the outside, but it’s what we don’t see that is scary. High cholesterol, back problems, bad circulation, shortness of breath and so on. It takes a full lifestyle change of both a healthy diet and regular exercise to see optimum results. Here’s the good news – the results are entirely up to you. 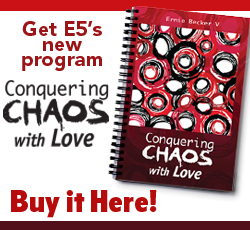 E5 Coaching will create an easy, step-by-step eating and exercise plan tailor- made just for you. More importantly, we will coach you through the challenging times to get the results you desire. Copyright © 2018 Unleash your potential. All Rights Reserved.